Cover completely with cold water. Cover and turn off the burner. Let stand on the warm burner for 17 minutes. 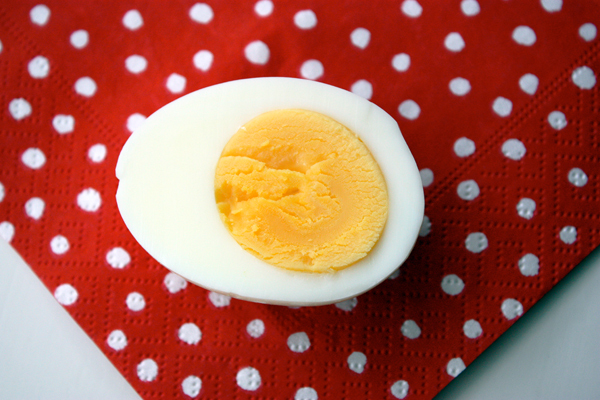 Using a slotted spoon, remove eggs to a bowl of ice water for 2 minutes. Click here for more on perfect hard boiled eggs in my blog. 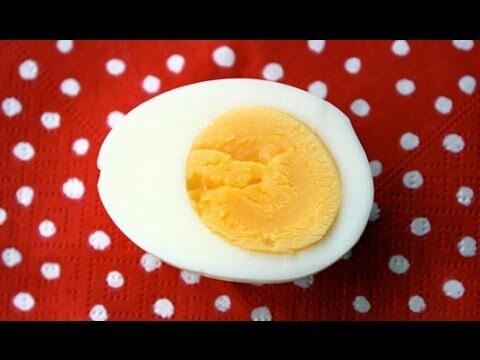 12 Comments on "Hard Boiled Eggs"
Best hard boiled egg I have tasted! Thank you!! OMG! My family loves hard boiled eggs but I avoided making them because they always broke in the water, or came out rubbery. I was embarassed at my hard boiled egg cooking skills so I avoided cooking them. Happy day, I tried my first batch tonight and they are absolutely PERFECT! The yolks are fluffy and perfect, and the whites not overcooked or undercooked, NO RUBBERY. And not a single egg broke in the water during cooking! Hi Jenny, this is a great method for boiling eggs. However, if a person has a smooth-top electric range, like I do, you need to take the pot off the burner after the boiling time is up, as the burner stays hot and the eggs overcook a bit and there is a green ring. I have an easy tip for perfect hard boiled eggs. Bring eggs, new or old, to room temperature. Poke one end with a push pin. Place eggs in water. Bring to a simmer and boil, Mountain time is 14 minutes. 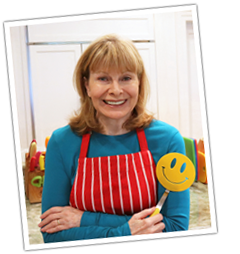 Remove from heat place in cold water and put on your happy face when you see how easily they all peel! I don’t put anything in the water. Enjoy! I don’t have any baking soda on hand, so can I cook the eggs in just water? Will there be a difference in the cooking time? Or can I add salt instead? The cooking time will stay the same no matter what, but I think adding some salt is a good idea. And try to do the ice water dip if you can. Jenny. ..what does the baking soda do? Baking soda in the cooking water raises the ph in the egg, making it more alkaline. This draws some of the water content out of the egg through the shell and into the pot thus creating a bigger cushion of air between the membrane and the shell. That pocket of air makes them easier to peel. Older eggs automatically lose moisture and develop a pocket of air, which is why they say you should always boil your older eggs.